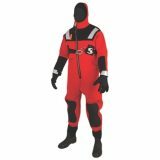 The IRIA Certified MRV200 SR is designed to meet the Personal Protective Equipment (PPE) needs of rescuers operating in high risk swift water environments. A high visibility and close fitting vest made of rugged rip stop nylon, the MRV200 SR contains extra flotation (26lbs) to combat reduced buoyancy in turbulent water. 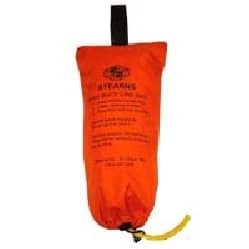 Large, removable front and back pockets create a flat surface allowing rescue swimmers to safely and quickly reach victims in moving water and the included over the shoulder leash (cowtail) aids in self rescue. An integrated structural harness with front and back protective plates and single piece over-the-shoulder foam design provide extra strength, structural integrity and body protection. Multiple adjustment points provide a secure fit that prevent ride up and a "live bait" quick release belt helps the rescuer to escape dangerous situations. Fast Tabs on both shoulders act as easy attachment points for accessories such as knives, scissors or strobe lights.